Check out the brilliant interview below which the Horror Channel did with Brian Yuzna (director of Society and Bride of Re-Animator). Really great interview in which he hints at a possible sequel to Society. 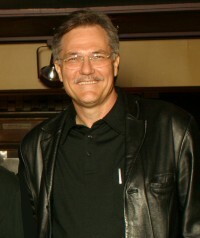 Brian Yuzna is one of the world’s most prolific and respected genre film-makers and on the eve of RETURN OF THE LIVING DEAD 3 receiving its network TV premiere on the Horror Channel, Yuzna gives us some insight into the making of the film, news on the SOCIETY sequel and why he thinks Horror has gone too mainstream. RETURN OF THE LIVING DEAD 3 is broadcast on Saturday Nov 2, 10.40pm. Q: Did you know from a young age that you wanted to work in the movie industry? BY: No, I didn’t. Like most kids, I loved movies; and I saw some scary ones at a young age that really disturbed me. That gave me an interest in horror for the rest of my life. But I never imagined that you could actually make a living making movies. Back then there were no dvd extras and tv shows demonstrating how movies were made. While in high school I had fooled around with a friend’s 8 mm camera and we mostly shot special effects but it wasn’t until I saw Truffaut’s Day For Night that I had an idea of how a movie crew worked. Many years later I was vacationing with my girl friend and we rode past a big encampment outside of Cartagena , Columbia and I recognized that it was a film shoot. That evening we left our modest quarters and were eating at a restaurant on the beach when a couple of jeeps drove up with the rowdy actors etc from the shoot. As they drank and ate and partied I realized that I was on vacation and they were on a job – but they were having more fun than I was. That’s when I thought maybe making movies was a desirable job! Cut to a few years later when I was working as an artist and had an art supply store. I acquired a 16mm Bolex wind up camera and started making a short film – a short film full of fx that turned into a feature. Although I never took a film class, I learned how to make a movie just by doing it with people who did know how. The process fascinated me – it was exciting and satisfying. The movie I made was pretty bad, but I was hooked. I moved to Los Angeles to make movies. Q: How did the Return Of The Living Dead III project come together? BY: Joel Castelberg and Danica Minor contacted me about directing Return 3 – they said they had the rights and thought that I would be a good collaborator. I was thrilled because I loved both Return of the Living Dead as well as Night of the Living Dead. In order to set it apart from the plethora of zombie movies that had been made (even back then!) I decided that a zombie should be the main character. They found a company to finance it and we began listening to pitches from potential screenwriters. However, when the time came to formalize a deal it turns out that Joel and Danica’s agent was wrong about the rights being in their control – so it all fell apart. Soon after I mentioned this to Mark Amin, the ceo of Trimark Pictures, and somehow he acquired the rights and offered me the job of directing and producing. Again, the process of interviewing writers began, but this time it was Trimark who lined them up. When I met John Penney and heard his pitch, I was immediately sold. He was the guy. Q: What did you think of the script the first time you read it? BY: There never was a first time that I read the script. John had a ‘pitch’, which was a basic ‘take’ on the movie. His idea had to do with kids on the run, kind of a Romeo and Juliet, in a world in which the military is experimenting with the living dead as weapons. I don’t remember exactly the details, but my obsession with having the main character be a zombie fit right into that. The next step was for John to write a ‘treatment’ to base the screenplay on. John and I brainstormed the ideas and John organized them into characters and a story. Then the Trimark development folks would review it. By the time we got to the screenplay John and I were collaborating very effectively. John was seamlessly able to satisfy his storytelling ideas as well as mine – and Trimark’s as well. In fact, for the only time in my moviemaking experience, I had the screenwriter (and co-producer) on the set with me throughout the shoot. During pre-production John Penney was there to rewrite the script according to the cast, the locations that we found and the ideas that came up with the storyboard artists and fx artists. So during the filming we were literally shooting the script. Q: Was it a difficult movie to cast? BY: It wasn’t a difficult movie to cast because of the support of Trimark. I feel like they were able to access excellent options for each of the roles. They were very involved with the casting and fortunately we seemed to be very much on the same page as them regarding the casting ideas. Trimark had strong ideas about the casting, but never did I feel like I was obliged to accept an actor that wasn’t my choice. They really were good to work with. The biggest role of course was Julie – and we were all pretty blown away by Mindy Clarke. But Trimark was most helpful, I think, with the secondary roles for which they brought in really quality talent. It is really great that the cast, in my opinion, is uniformly good. Q: How much of the budget went on special effects? BY: Not that much – but working with my producing partner Gary Schmoeller (to whom is due a great deal of the credit for the success of the movie) we used an approach for producing the effects that had worked well for us in the past. Typically fx horror films of that era would hire one fx company to produce all of the fx – the theory being that by giving them all of the fx budget they would be able to dedicate more of there time to your production. Our approach was the opposite – with limited funds it is better to break the fx down into categories and hire various companies with different strengths. This meant hiring an fx supervisor (Tom Rainone in this case) to find the appropriate fx artists, make the deals and supervise the work. Paying a top fx artist for a key fx makes sense – paying the same artist to create background zombies may not be cost effective – a newer fx company might put extra effort into the effect in order to show there stuff. Some fx artists are experts in prosthetics and others in mechanical devices. We tried to get the most bang out of our fx budget. Q: Was it a difficult shoot? BY: It was a difficult shoot in that we were trying to make a bigger and better movie than we were budgeted for (we always aim higher than our budget). But the shoot was so well organized (kudos again to Gary Schmoeller), and Trimark were so supportive, and our Director of Photography (Gerry Lively) was so tirelessly resourceful that everything went more or less according to plan. It was very hard, exhausting work – but the whole crew seemed to be pulling in the same direction, so I really would not categorize it as a ‘difficult’ shoot. Q: Why do you think the film has built up such a loyal following? BY: Because it is a really good zombie movie. I say that as someone who has made a lot of horror movies that I wouldn’t characterize as ‘really good’. Return 3 has a good clear story and satisfying horror. Mainly what sets it apart in my book is the love story at the center of it all. I think it is very romantic, you really feel for Julie and sympathize with Curt’s determination to not let go of her. I feel like it is a goth romance, a heavy metal tragedy, a young love in a corrupt world. As a life long horror fan I think that Return 3 holds up as an example of good ‘90s horror. Q: Horror Channel has also shown films from The Dentist and Re-Animator series of movies, do you think its times these characters came back? BY: Yes, I do. Corbin Bernson has tried to get the rights to do a third Dentist – he loves playing that character. And it would be good see Jeffrey Combs get out the re-animating syringe one more time. And I have been asked many times about a Re-Animator re-boot. Problem is, as always, financing. The business has changed considerably due to the digital revolution. There just aren’t many Trimarks out there any more. Q: Have you ever been tempted to make a follow up to your astonishingly original shocker, Society? Q: What state do you think the horror movie industry is in at the moment? A victim of its own success, perhaps? BY: Horror has become so mainstream that it seems to have mostly lost that transgressive creativity that used to make it so exhilarating. Now that Zombie movies have hit the mainstream (the modern equivalent of the ‘Western’?) they have mostly lost the element of the macabre, the disturbing sense of dead things coming wrongly to life, and are now mainly action films about disease and overpopulation. Vampires are more romantic than horrific. And extreme violence is the norm almost as an end in itself. I think that we are at the end of a cycle and that a new kind of horror will grow out of the new production and distribution digital technologies. We seem to have reached the limit of what the screenplay structure formulas (popularized especially by Syd Field) of the last decades can give us. Whereas these ideas began as a way to identify the structure of successful movies and learn from them, they have inevitably led to a be treated as a set of rules to follow, rules that can lead to a sameness in screenplay structure that makes you feel like you know what is coming in a film from the early scenes. The horror genre has a relatively rigorous structure and it may be time for new filmmakers to develop it into more effective directions. One of the most interesting horror films for me recently was Cabin in the Woods. It wasn’t very scary, but the way it deconstructed the horror tropes made me think that after that you just cannot make a teenagers in the woods movie again. The times dictate our fears, and these times are definitely very different from the last few decades. I am waiting for the new classics to emerge – horror with the effectiveness and artistry of Rosemary’s Baby, The Omen, The Exorcist, The Shining – and the devastating impact of Night of the Living Dead and Texas Chainsaw Massacre. Q: You’re a multi talented person but are you happiest directing, directing or writing? BY: I am happiest when I am giving form to something I have imagined. It is the most exhilarating to direct – but if the director is doing stuff that surprises and delights you it is fantastic to produce. Writing is the fun of brainstorming the original ideas. When you produce you can stay with the movie for a long time after everyone else is gone. And with producing you can get so many more movies made. I love collaborating and am happy to take whatever role is available as long as I feel like I am a real member of the creative and organizational team. Q: So what projects are you working on at the moment? I am working on the sequels we mentioned above – but also have very interesting multi platform project with John Penney called The Pope. Brian Yuzna, thank you very much.